You have a right to a speedy trial for any offense in the State of Washington, that is a right to trial within 90 days of your first court appearance if you are not held in jail, or 60 days if you are in jail. However, you may also extend this to a period outside of the 90 days. This happens a lot in our state for Washington State cases. Extension of speedy trial happens for a variety of reasons - to work around peoples schedules (both yours and ours), to give attorneys more time to negotiate, to make sure there is time to properly investigate charges, to schedule court dates in an orderly manner. This is the form that allows us to extend speedy trial. For some Washington State criminal offenses you are required to attend the first court appearance, called an arraignment. Sometimes our clients are out of town when this first court date gets scheduled - usually on business or travel. This form allows us to ask the court for a continuance. 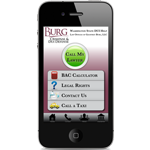 This form helps us to obtain any information from an attorney that you have previously spoken to. For instance, if on the night of your arrest you asked to speak to an attorney, this form would allow us to get the notes taken by the attorney you spoke to. These notes can be very important in your defense. In some Washington State cases we may need to obtain medical records to help in your defense. For instance, if you suffer from acid reflux, diabetes, wear dentures, or have other medical problems, we may need to obtain those records. This form would allow a medical professional to send us the appropriate records to help us best prepare for your defense. As your lawyer we are prohibited from sharing your secrets or talking to anyone about your case without your permission. To do so, would be a breach of the attorney-client privilege and the rules of confidentiality. Sometimes in defending charges we need to talk to someone about your case - a spouse wants us to talk to his or her partner, a child wants us to talk to his parents. This form allows us to do so. For some cases need character references. This most often occurs in the most serious of cases - maybe there are multiple prior offenses or the allegations are particularly bad. In these instances we sometimes like to get character references from friends and family to be able to show the prosecutor what our client is generally like, not just what may be seen in the police report.